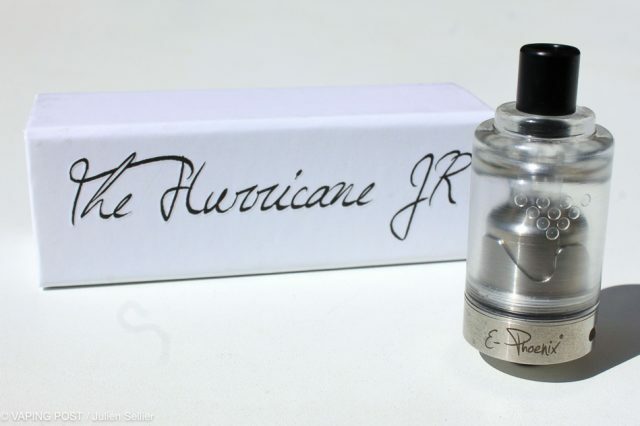 Hurricane Junior is the mini version of the Hurricane, high-end reconstructible atomizer designed by the Swiss modders of E-Phoenix and recognized for its exceptional quality of vaping. Let's see if Junior is the worthy heir of the Hurricane. Released in April 2015, the Hurricane by E-Phoenix gained the reputation of a very good atomizer within few months. 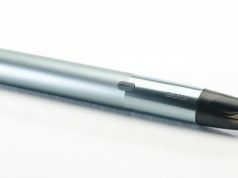 Good vaping quality and rendering of flavors are its main features. 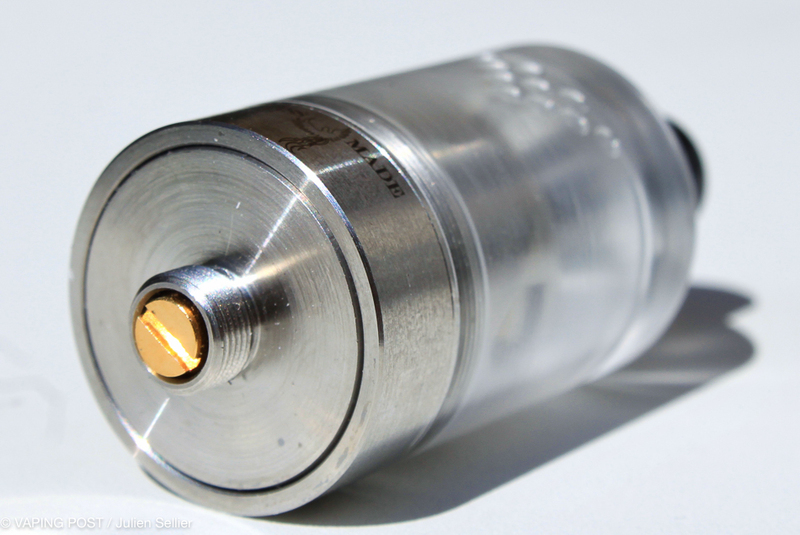 About one year later, the Swiss modders design Junior, a version that possesses a transparent bell cap in PMMA that reduces its capacity of 3.5 ml to 2.0 ml. Compare to the original version, the airflow ring has been reviewed at the same time as the mounting deck. Firstly, inconvenient. 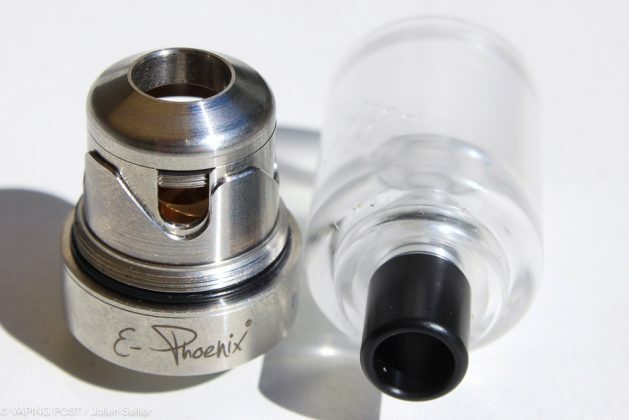 The PMMA tank looks robust but a risk of corrosion remains with the most aggressive e-liquids. In contrast, it does not break easily. 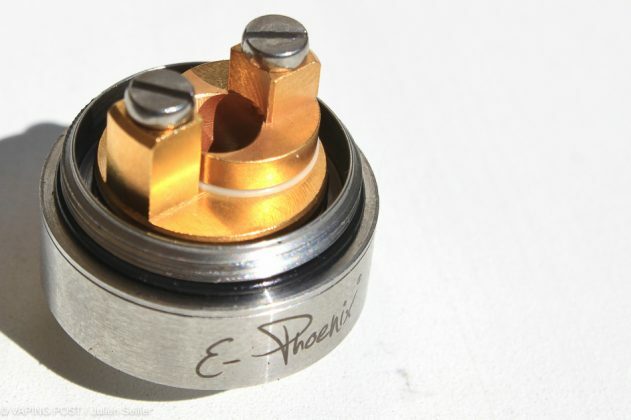 Regarding the innovations, the mounting deck possesses large screws that permit using any type of wire, like Clapton. Liquid inlets are larger and adjustable thanks to a stainless steel ring around the chamber. 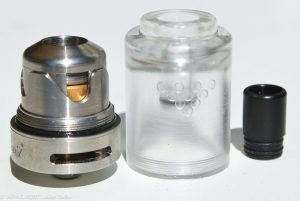 For juices with more than 50% VG, reducing the supply is not necessary. 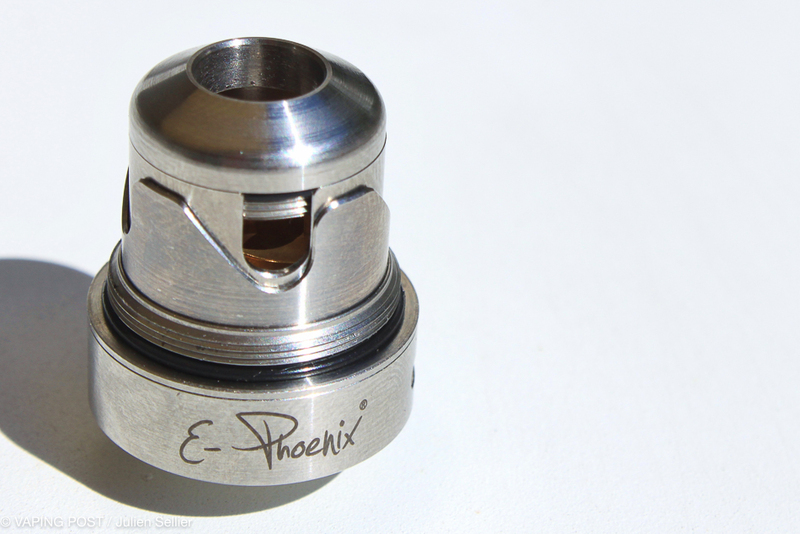 The air inlet located under the coil has also been reviewed and has a larger diameter. Even if it not as easy as a velocity-type, the deck that ressemble that of a Taifun GT II is nevertheless easy to use. You just need to position the coil above the air inlet and to wrap the tips around the screws. The lateral airflow system has be reviewed as well. 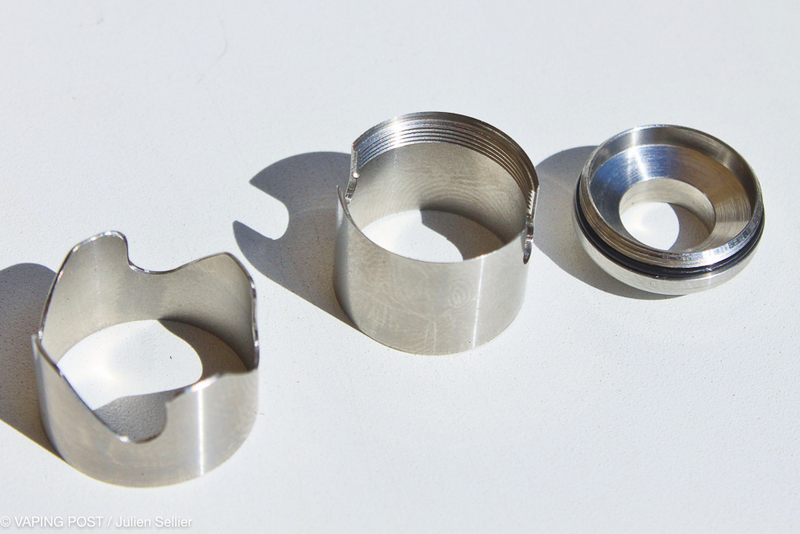 From the former settings with 10 position, the Junior now is equipped with a dual cyclope system of 2 mm by 14 mm. 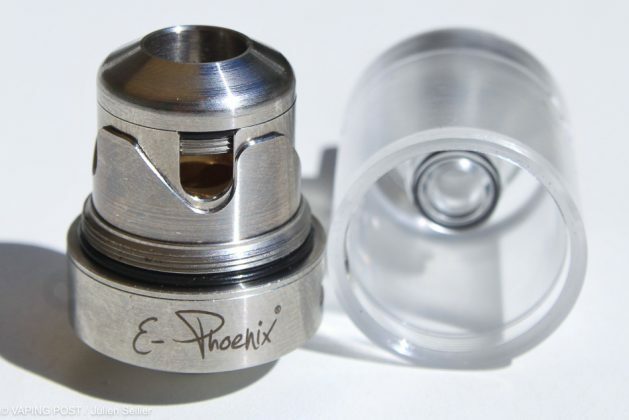 It allows very tight to very aerial vaping types. Although the ring is not toothed, it stays in the right position. The only inconvenient that I see is that it becomes noisy when open between 1/4 and 1/2. 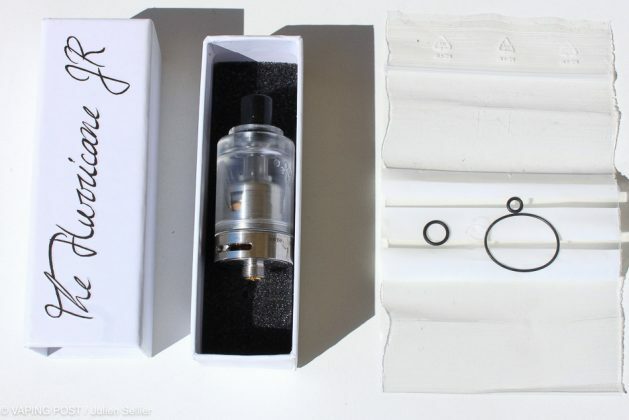 The innovations above also modify the vaping style compare to the original Hurricane. 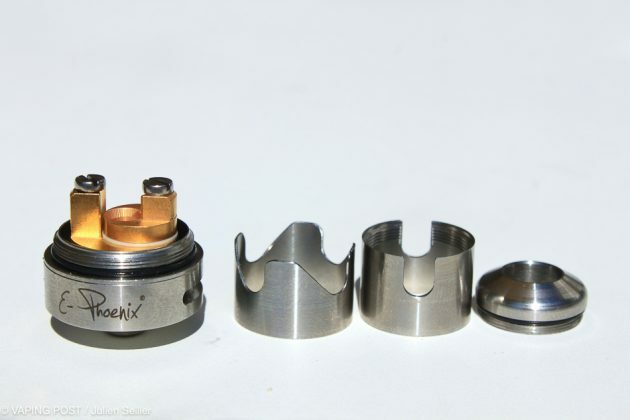 Firstly thought for MTL vaping, the evolution extends its use and makes the Junior also compliant with DL inhalation. However, the drip-tip remains too narrow (only 7 mm) to fully experience subohm pleasures. Regarding manufacturing, the atomizer is above reproaches and inspire quality. It is robust, solid. But for this price, €129.90, one would expect at least a user manual and a spare tank in the pack, just in case. 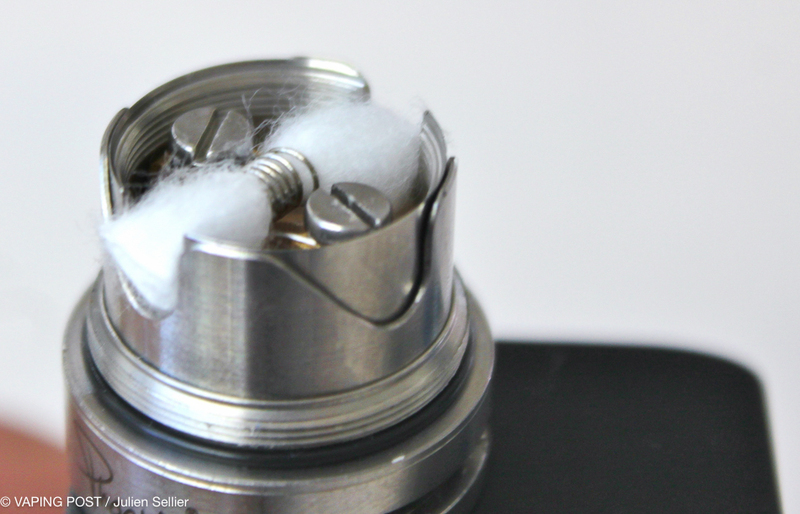 Wicking is quite easy, even with the wires cut at the limit of the chamber. I did notice no dry hit or leakage. The Hurricane Junior offers high quality of vaping which seems even more “rounded” than with the Hurricane, rendering of flavors is equivalent. Smaller than the classic version, the vapor may be warmer. As the tank is made of PMMA, it is preferable to avoid using corrosive juices (i.e. citrus, menthol) to keep it intact over years. I noticed that in order to fully enjoy vaping with the Junior, low mountings are to be preferred. It has been designed in this way. I really enjoyed vaping with a coil made of six turns of a 0.39 mm SS316L wire. The resistance was 0.5 Ω for a diameter of 3 mm and the ideal position was just below the head of the screws to prevent spitting. Rating of 4.3/5. 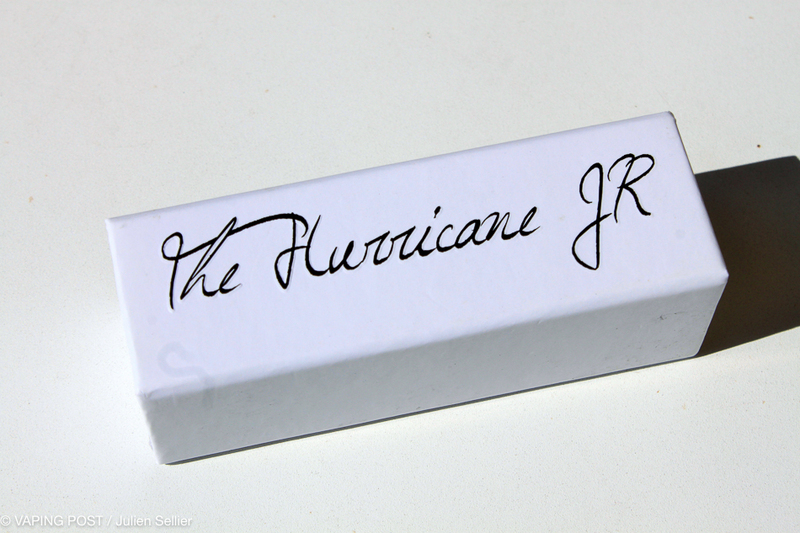 With similar vaping qualities as the classic version, the technical updates that the Hurricane Junior received bring it a more versatile profile than the Hurricane. 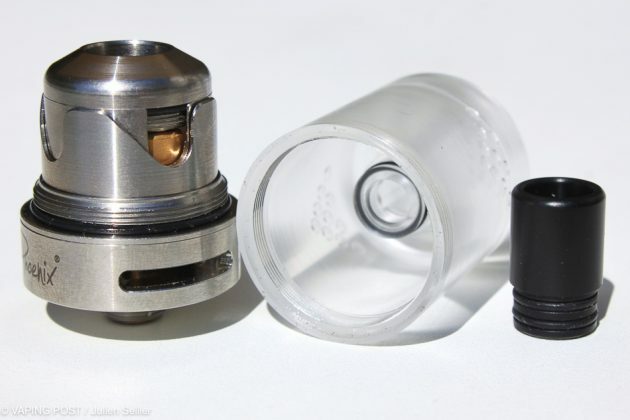 While offering MTL inhalation style, the wider airflow holes are useful to ventilate the biggest mountings thanks to a modified deck. 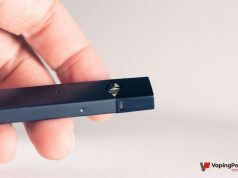 With this Junior, aerial vaping is also possible. As the classic version, the Junior is robust and well finished. 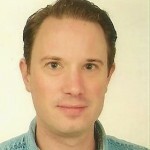 The choice of PMMA for the tanks is a matter of debate with regard to its tolerance with aggressive liquids. The lack of spare parts is regrettable, like the absence of a user manual. 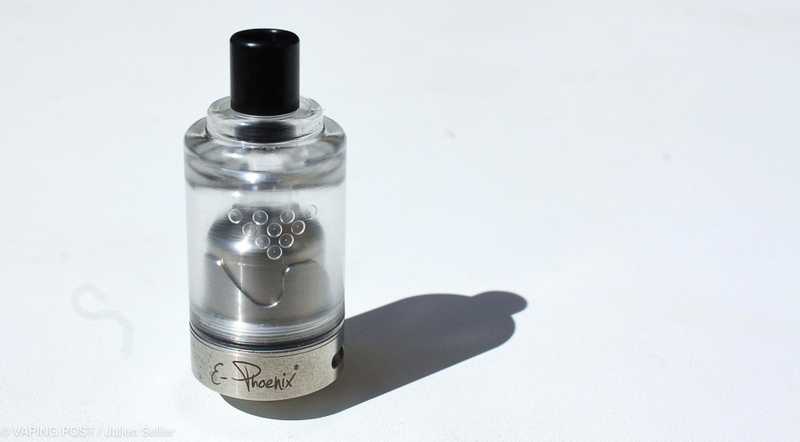 A good choice for vapers who are keen for paying the price of a “Made in Switzerland” atomizer. With similar vaping qualities as the classic version, the technical updates that the Hurricane Junior received bring it a more versatile profile than the Hurricane. A good choice for vapers who are keen for paying the price of a "Made in Switzerland" atomizer.